The Big Agnes AXL Air sleeping pad is a warm weather ultralight sleeping pad (mummy or full size) that beats the pants off the Therm-a-Rest NeoAir XLite in terms of comfort and compressibility when packed. 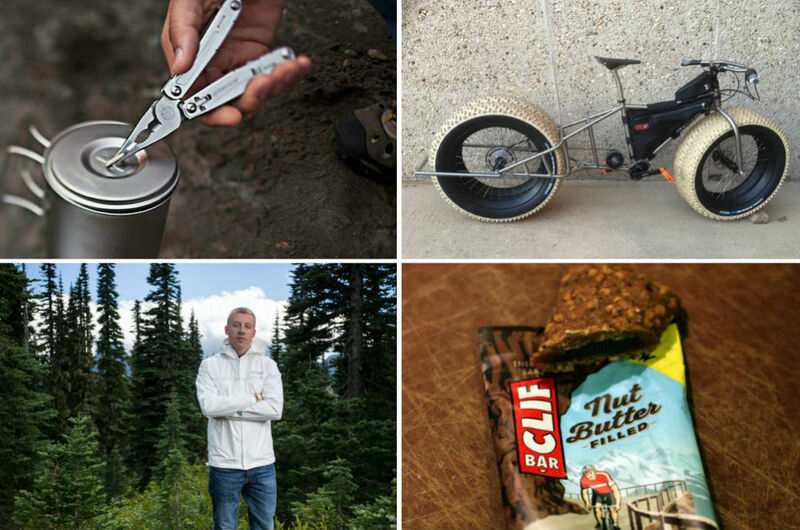 But it takes a lot of effort to inflate by mouth and you’ll definitely want to bring a pump sack along to inflate it. If you’re counting ounces, that’s going to add to the total weight required to use the AXL Air pad, which might make you think twice about switching to it. The AXL Air is comfortable to sleep on and includes a heat reflective coating to keep you warmer at night. The AXL Air is also extremely quiet, without the notorious potato chip sound that often accompanies sleeping pads like the Therm-a-Rest NeoAir XLite. It’s covered with a high tenacity nylon ripstop for enhanced durability and low weight, with individually sprung cells like a spring mattress. The individuals cells support your body contours and are more comfortable than pads with horizontal or vertical baffles. The AXL Air is also quite a thick sleeping pad, a full 3.75″ deep, making it comfortable for back and side sleepers alike. Thicker side rails help keep you in the center of the pad at night. However, if you kneel on the pad, your knees will hit the ground below. Something to be aware of. The AXL Air has a single flat valve that is used for both inflation and deflation. While you can inflate the pad by mouth, it takes me 28 breaths to blow up. 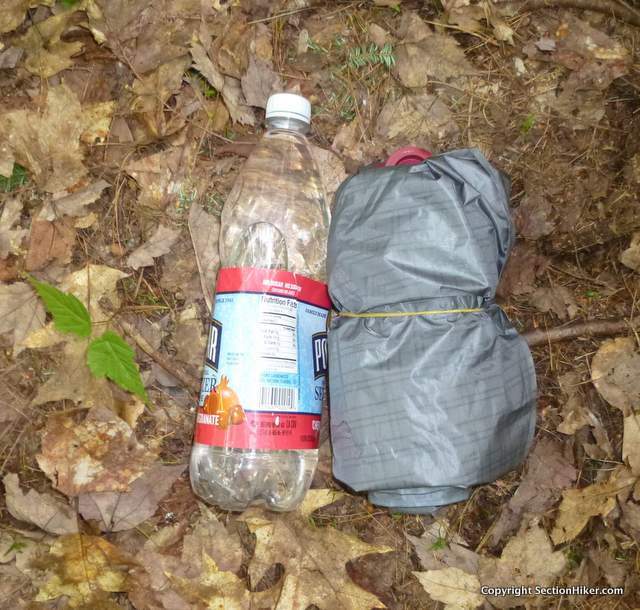 Give the amount of effort required (and dizziness), I’d recommend inflating the pad with the Big Agnes Ultralight Pump Sack which weighs an additional 2.9 ounces. Unfortunately, pump sacks from other companies, such as Sea-to-Summit or Exped, are not compatible with the AXL Air valve. A pump sack helps limit the amount of moisture you blow into a pad with your breath and can eliminate the growth of mold inside the pad itself, which will degrade the material over time. 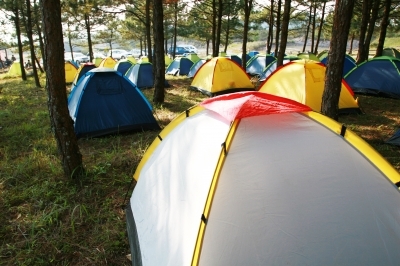 Sleeping pad companies, including Big Agnes, have gotten better about including fungicide treatments in their pads at time of manufacture to help retard it’s growth. Once inflated, you can adjust the firmness of the pad by releasing air or blowing more in. 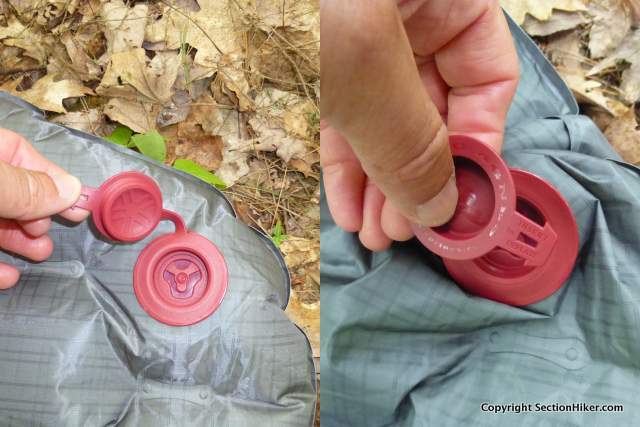 To deflate, you need to insert the pointed end of the valve cap into the valve to keep it open so air can escape. To deflate, simply roll the pad up to force the air out. Then fold it up along the pre-scored folds provided and roll it up for transport. The AXL Air is astonishingly small when packed up. The AXL Air is quire compact when deflated and rolled up. The Big Agnes AXL Air is a “warm weather” inflatable sleeping pad, which in Big Agnes parlance means that it’s a sleeping pad best used in summer temperatures of 50 degrees or warmer. While I’ve taken the AXL Air down to 55 degrees for testing purposes, I wouldn’t recommend going lower than that without bringing a closed cell foam pad, like a Thermarest Z-lite, to layer under it in cooler temperatures. Your experience using the AXL Air will also be very dependent on the temperature rating of your sleeping bag or quilt, because a warmer bag can counteract the cooling effects of an lightly insulated pad. Unfortunately, Big Agnes decided not to publish an R-value or a recommended temperature range for the Air AXL Sleeping Pad. Why? For one, it’s expensive to run tests on all of your products, which is often the reason why smaller companies don’t publish sleeping pads ratings. 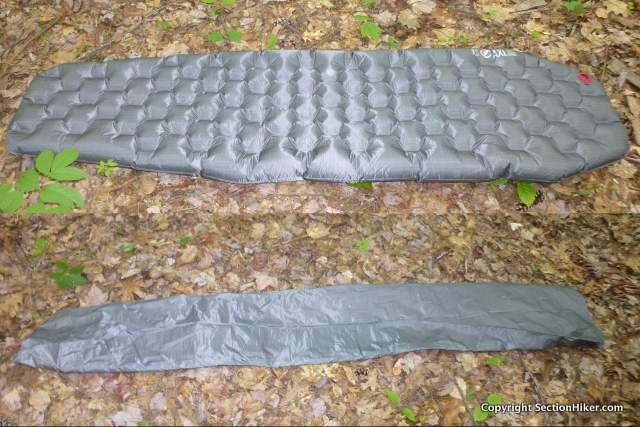 Two, because there is no industry-standard way to measure sleeping pad R-values or recommended temperature ranges. Three, the best way to blunt a competitive product comparison is to NOT to publish an inferior value…when a company like Therm-a-Rest publishes R-values for all of their sleeping pads. While I can understand why Big Agnes didn’t want to publish “potentially” misleading metrics about this sleeping pad, I think not providing consumers with any directional information about their warmth relative to ALL the other sleeping pads that Big Agnes makes, is a mistake. Forget the competitors for a moment. If one assumes that Big Agnes uses the same testing methodology in-house across all of their products, a relative warmth ranking would be useful information for existing customers wanting to compare different Big Agnes sleeping pads. Whatever, the reason, I think Big Agnes and other brands that do not provide R-values or temperature guidance for their sleeping pad products are doing their customers a dis-service, and shooting themselves in the foot, at the same time. Get creative folks! Push the R-value standards process forward or form a smaller consortium with other brands, in the interim, to publish better temperature guidance for sleeping pads. Leadership has its rewards. 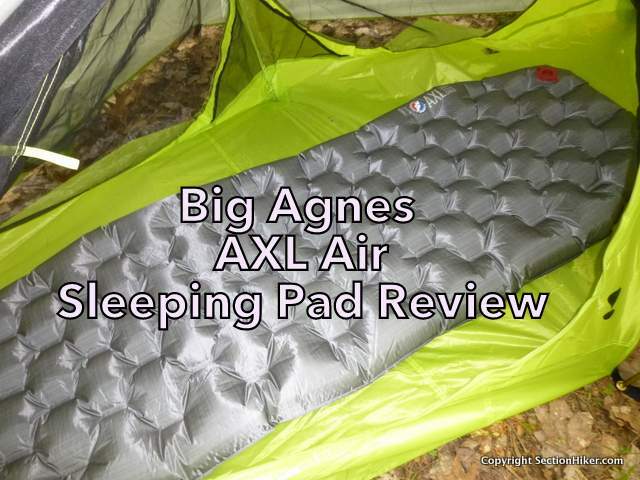 The Big Agnes AXL Air is a lightweight, comfortable, and compressible inflatable sleeping pad, best used for warmer weather, 1-season backpacking. Weighing just 9.6 ounces (for a 20″ x 72″ x 3.75″ mummy pad) it’s best coupled with a 2.9 oz Big Agnes pump sack because it takes so many breaths to inflate. If reducing your pack weight is your primary motivation for selecting an AXL Air, you’d probably be better off buying a sleeping pad that can be used across a wider range of seasons and temperatures. I’d recommend the Therm-a-Rest NeoAir XLite, which weighs 12 ounces, has an R-value of 3.2, and can be inflated by mouth without a pump sack. Therm-a-Rest also tests their products in a cold room to ensure that their real world performance is consistent with their published R-value metrics. Big Agnes also sells an 11.9 oz Insulated AXL Air Pad, but it has many of the same inflation and temperature rating issues of the uninsulated version reviewed here. If, on the other hand, you really are just interested in a comfortable, summer sleeping pad, the Big Agnes AXL Air has a lot going for it. It’s less expensive, lighter weight, and more comfortable than all of Big Agnes’ other lightweight pads, in addition to those sold by Therm-a-Rest. I’d still recommend using it with a pump sack, but the comfort of AXL Air sprung cell construction and cover fabric is really hard to beat.